Oooh! 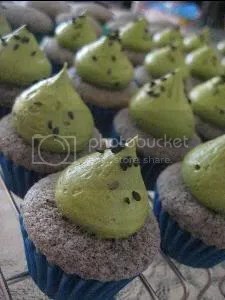 Black sesame cupcakes – I love that idea! thanks Agnes! (: It’s really yummy! 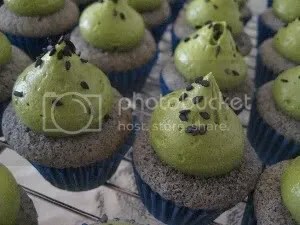 i love black sesame! No. 1 on my to-do list after exam on the 19th!! hehe nice!!! let me know what u think! Yummo! 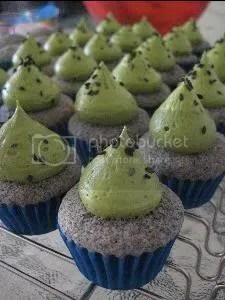 Black sesame & green tea are two if my favourite flavours :). 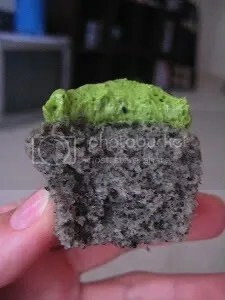 The cake looks wonderfully light & fluffy and the green tea icing is so bright! Thanks Shez! (: hehe It’s a lovely combination and one of the best I’ve made I think! haha According to my boy and my housemate!